Real. Save thousands when you use one of our agents to help you buy your next home. Real Estate. Agents, partner with us to work with motivated buyers and sellers or join our brokerage team. 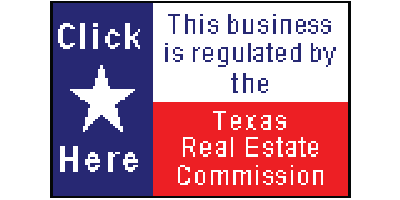 Texas Discount Realty is your local discount real estate broker. We have real agents in every market we operate in, not a data processor in some far-off place. Our agents live in and know their markets. We've been serving the real estate needs of Texans since 2000. Unlike other brokers offering Flat Fee™ listings, we have real agents in every market we serve -- Austin, San Antonio, Houston, New Braunfels, Dallas-Ft. Worth, and the Gulf Coast region. We specialize in helping our clients help themselves in the real estate sales process. We can provide as little or as much help with your transaction as you'd like.